As mentioned previously, the fact that the animal sacrifices of the Old Testament are no longer observed within Christian communities, beginning with the apostolic community, has been used to marginalize the commandments of the Law regarding worship in toto. While the idea that Christ’s offering of himself as a pleasing sacrifice to the Father means that all of the old sacrificial commandments are irrelevant is attractive in its simplicity, it grossly distorts the scriptural understanding of sacrifice. Further, this idea has led the vast majority of Protestantism to question whether there is such a thing as a new covenant priesthood. This blanket Protestant denial of ongoing sacrifice in the Christian community, particularly associated with the Eucharist, is itself a response to accumulated Roman Catholic doctrine regarding the propitiatory sacrifice of the mass. The latter errs by not seeing the decisive fulfillment of portions of the sacrificial system by Christ in his single sacrifice, the former by seeing the sacrificial system as abolished rather than fulfilled. The first reality that must be kept in mind is that the sacrificial system is not made up entirely, or even primarily, of sin offerings. The sacrificial system commanded in the Law includes grain offerings, drink offerings, first fruits of crops and livestock, offerings for firstborn male children, and still more occasional offerings. Additionally, the way in which sin offerings, and the annual Day of Atonement are understood in the West does not accord with the actual witness of scripture. The typical view, that a sin offering involved the sins of a person or the community being placed on an animal and the animal then being killed to atone for the sins is found nowhere in the scriptures. There is only one instance in the entire sacrificial system in which sins are placed upon an animal, on the scapegoat on the Day of Atonement, and that animal is expressly not sacrificed, because bearing the sins of the people it is unclean. The imagery of the scapegoat is certainly applied to Christ in the New Testament, in both Hebrews and the synoptic Gospels, as well as in early Christian writings like the Epistle of Barnabas. But this imagery of Christ as sin bearer is not, strictly speaking, sacrificial imagery. This latter point, regarding the misconception of sin offerings, points to a larger misconception regarding sacrifice, that it is centered around the act of killing. When looking at the sacrificial system as a whole, it becomes very clear that many of the sacrificial offerings, such as grain and drink offerings, or offerings that involve bread or cakes, cannot be killed, and have no blood. Rather, what every sacrificial offering, throughout the sacrificial system, has in common is that it is food. Sacrifices are therefore not bloody acts of killing, but rather meals offered to God, and participated in by the eating of portions of the sacrifice by the priests and the worshippers. This is why the result of the burning of these offerings is described throughout the Law as an ‘aroma pleasing to the Lord’ (Gen 8:21, Lev 1:9, 2:2, 23:18). The same language is applied both to animal offerings and to grain offerings. 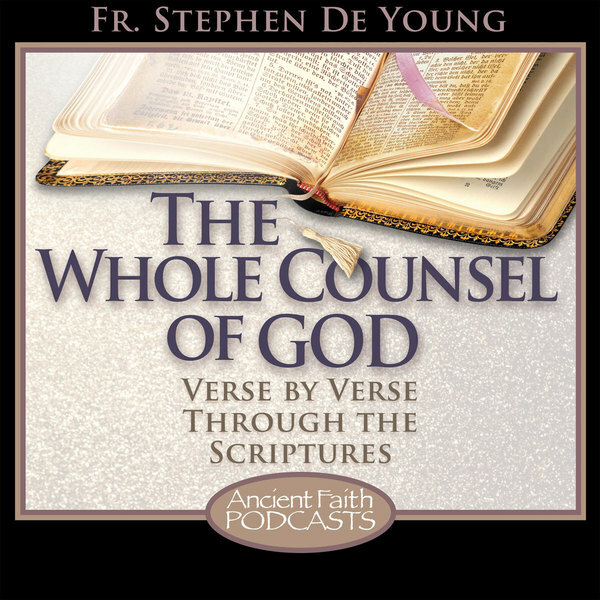 The same language is also applied by St. Paul to the sacrifice of Christ himself (Eph 5:2). For an animal to become part of a meal, it must be killed and appropriately butchered according to the commandments, but these are secondary to its role as meal. The traditional Protestant argument, therefore, that the Eucharist is a meal not a sacrifice, can be seen to be completely incoherent from the point of view of the apostles. Sacrifices from their perspective were communal meals, leading to the very early crisis regarding meat offered to idols (as dealt with primarily in Acts and 1 Corinthians). The fate of the sacrificial commandments, and their ongoing application in the life of the church becomes clear when the language used in the apostolic era regarding sacrifice is understood. In Greek translation, Numbers 10:10 refers to the sin offerings of the tabernacle as ‘remembrances’. Not because in offering these offerings the worshippers remember some past event, or remember their own sins, but because through offering a pleasing offering, they bring themselves and their need for mercy to the remembrance of God. This language is picked up in the New Testament, for example, in Acts 10. The centurion Cornelius receives a vision urging him to send for St. Peter in order to receive the gospel and baptism at his hands. What has occasioned this angelic visitation is that his prayers and his giving of alms have gone up before the Lord as a ‘remembrance’. Prayer and almsgiving are here associated with sacrifice. More importantly, however, when Christ institutes the celebration of the Eucharist, his command to his disciples and apostles is to ‘do this as my remembrance’ (Luke 22:19, 1 Cor 11:24). This is not to say that the Eucharist has replaced the sacrificial system, but that in Christ’s voluntary self-offering, the sacrificial system has been fulfilled, and the Eucharist is the application in the church of those sacrificial commandments. In the Eucharist, we offer to God the fruit of our labors, bread and wine, in fulfillment of the offerings of first fruits, of grain offerings and drink offerings. This is in specific imitation of the offering of Melchizedek (Gen 14:18), after whose priesthood Christ’s is patterned (Ps 110:4, Heb 7:13-17). With these gifts we offer ourselves, our labors, our whole life, and our collective being as a community to God. In return, Christ offers to us himself. In fulfillment of the atoning sacrifices, Christ has once and for all cleansed his people of sin and its effects on the created order by offering himself, and his labors, and his whole life as a pleasing sacrifice to the Father. Therefore no further sacrifices are required to this end (Heb 10:10-18). 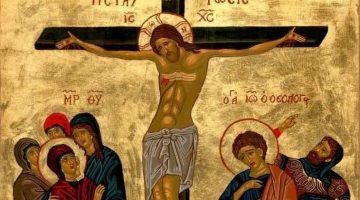 Rather, in the eating of Christ’s body and the drinking of his blood, we come to participate ever more fully in that once and for all sacrifice, and to receive in ourselves as human persons the effects of that sacrifice, namely purification from sin and the life of God himself. The many commandments regarding the sacrificial system in the Law, therefore, are far from obsolete. These commandments represent the means, the many vantage points, from which to view the sacrifice of Christ on our behalf. They represent the means by which we understand the resulting effects of that sacrifice upon ourselves as human persons, and upon the creation in which we dwell. They represent the means by which we can understand the way in which this is applied in each of our lives through the Eucharist which forms the center of our worship and our lives. Christ’s sacrifice is at once the sacrifice which makes all other future sacrifices unnecessary, and the sacrifice which gives our liturgical and unbloody sacrifice its meaning and reality. Wow, I just recently read through the Levitical Law and this is blowing my mind. Thank you! Father, when the people of the Old Testament offered “sin offerings” what did the offerings do for them? How did they effect their relationship to God? Thank you. Sin offerings are described in some detail in Leviticus 4:1-6:7. While this text is somewhat repetitious, so we end up skimming over it at a certain point and often miss some important details. There are two elements of offering here that shouldn’t be separated. There are offerings given to God, and there is also restitution required if the sin was committed against another person in the community. So, the offerings to God take the form of a shared meal, restoring community with God that has been broken by human sin. This is why in 4:31 the burnt offering is described as a ‘pleasing aroma’ to the Lord. And so these offerings bring forgiveness in the form of purification and healing. The element of restitution shows the connection between love of God and love of neighbor, which is drawn out by, but not invented by, the New Testament. We see this idea of repentance as restitution in the story of Zacchaeus for example. What differentiates these offerings from the self-offering of Christ, per Hebrews, is that they must be continually repeated, and offered by a priest for himself, as the priest is also a sinner. Likewise, these offerings are only for a small portion of humanity and the world, not the whole. In many ways, the Old Testament sacrificial system was a sort of ‘sin management’ system until it could be fulfilled in Christ’s defeat of the powers of sin, death, and hades.